Noah Dawood is a Recent Graduate of the Art Institute of Atlanta and a Graphic and Web Designer in Lawrenceville, Georgia. Noah recently graduated from the Art Institute of Atlanta where he earned a Bachelor of Fine Arts Degree in Graphic and Web Design. Natalie Doty is a Graphic Artist and Recent Graduate of the Art Institute of Atlanta. Natalie Doty is a driven Graphic Artist who is well disciplined at managing heavy workloads while focusing on designing creative, visually appealing graphics. She recently graduated from the Art Institute of Atlanta with a Bachelor of Fine Arts in Graphic Design. Some of Natalie Doty's skills include: graphic design, concept development, creative strategy, typography and marketing. David Serra is a Graphic Designer at Freedom Suite Services in the Greater Atlanta Area. Amanda Pharis is a Graphic Designer at Southern Kitchen in the Greater Atlanta Area. Sue Youngblood is a faculty member at The Art Institute of Atlanta. Sue also serves as an Education co-chair for AIGA Atlanta. 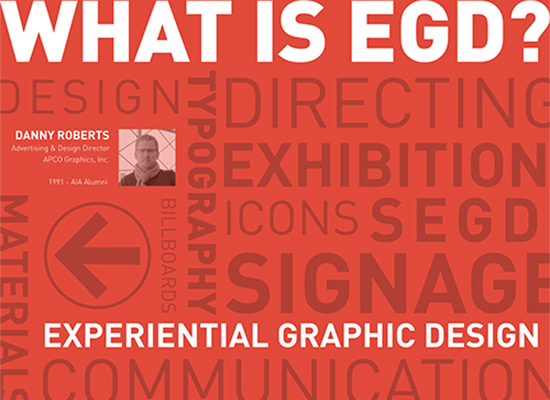 Local members of SEGD Atlanta presented "What is SEGD?" to graphic/web design, illustration and interior design students at The Art Institute of Atlanta on April 26. 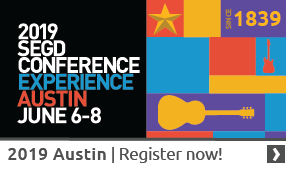 Chapter co-chair Steve Dubberly of SRSSA reached out to SEGD member and AiA design faculty Sue Youngblood to coordinate the event. Steve provided an overview of SEGD and brought EG magazines to give to students. During Spring Quarter students from The Art Institute of Atlanta's Interior Design and Graphic/Web Design departments benefitted from SEGD Atlanta's outreach to educate students on what EGD is, what skill sets are required and what career opportunities exist. While some students may have heard of EGD most are not familiar with the depth and breadth of opportunities that exist within the field nor its collaborative nature between many disciplines.